Do your company's presentations achieve the results you're looking for? How good are you at speaking to stakeholders? 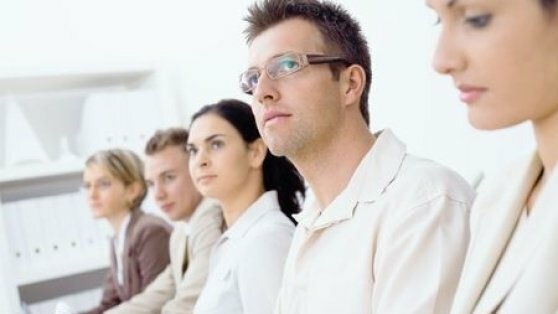 Here are 10 benefits of presentation skills training for employees. Are your employees well trained to deliver your company's key presentations? Whether you're pitching new business, delivering your value proposition, or speaking to investors at your annual meeting, your business success depends upon high-caliber presentations. So why do so many organizations fail at speaking with power and persuasiveness? A lack of attention to high-caliber presentation training may be the cause. Or if training is provided, it may be based only on information delivery, rather than laser-focused on effective performance. To move listeners to action, you must build a solid presentation. Learn the essential elements of speeches that activate stakeholders. Download my free presenters guide, "7 Key Components of Successful Presentations." It's not surprising that theater-based techniques are the best ones for showing your staff how to reach and move audiences. Your customers, clients, and prospects respond best to speakers who use all of their communication tools to gain influence. One of those tools, of course, is the information you convey. But the power of performance is at least as important in gaining the impact you're looking for. Still, there are many reasons for employee training in public speaking and presentations that go beyond sheer performance. Below are 10 such reasons. Together, they will go a long way toward making your company a more cohesive and effective unit where your all-important business presentations are concerned. Build Morale. Just as the famous saying tells us that most men live lives of quiet desperation, many employees are dissatisfied with the level of their speaking and presentation skills. Most of us get ahead professionally by learning our business, working hard, and making helpful connections. 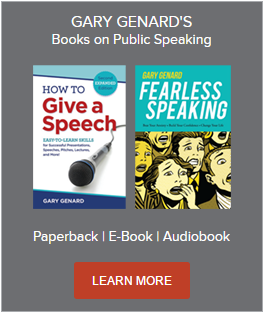 Typically, public speaking training isn't part of the mix. Yet forward-thinking companies know to seek performance-based training by professionals. "I'm no longer avoiding presentations on my job . . . I'm seeking out opportunities!" is often the comment from someone who has received such training. Increase Retention. Professional development is no longer merely necessary for key employees to learn and grow; it is expected. Sales people, members of leadership teams, marketing professionals, financial and healthcare executives, human resources professionals, government staff, and all other managerial-and-above levels want and need their organizations to invest in their development. If the desire of these key people for communication skill improvement is not met, they will look elsewhere. A client pointed this out to me concerning my pitch, and mentioned that I should include this in my discussion of ROI. I took the suggestion! Shared Skill Set. Even in work environments where collaboration is strong, employees often must think and work on their own. 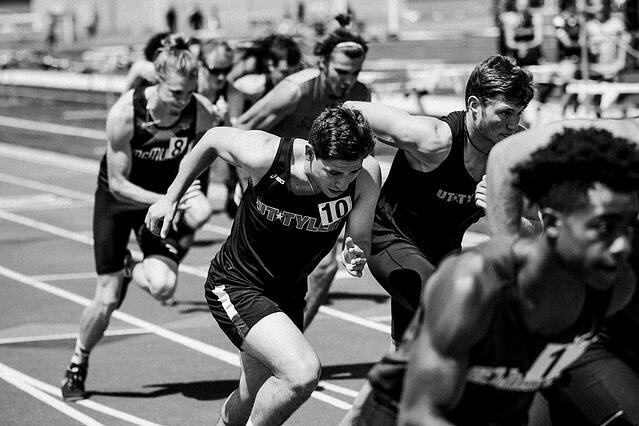 Communicating with others on one's team also doesn't mean that individuals learn and progress at the same level and are focused on the same material. In group training in company presentation skills, however, they do. On-site corporate workshops are usually carefully planned with the company's goals and objectives in mind, along with pertinent issues and personalities. There is simply no substitute for all key employees being in the same room, learning the same skill set at the same time. The result is truly greater than the sum of the parts involved. Professionalism. When it comes to reaching a higher level of communication effectiveness and influence, the right type of training is essential. Workshops open to the public must aim for a low denominator given the wide range of knowledge and experience represented. Corporate workshops in presentation skills don't have that limitation. Whatever level the organization wants to reach in terms of speaking success is where such a training starts. Add on-your-feet presentation practice and videotaping, and the results can really allow a company's impact and influence to soar. Team Impact. Presentations by a team may be a group activity, but more often they involve individual team members presenting one by one, as though they were accidentally thrown together on stage. A common scenario, for instance, is for individuals to present in a string of meetings with a prospect or client when that team member's particular expertise is needed. A team weak in its presentation abilities will announce itself with either a collective failure or a drip-drip-drip of ineffective appearances. In both cases, that team needs to be trained to present with a clear purpose coupled with memorable skills. Recently, I trained a global marketing team that had been assembled by a pharmaceutical company for an important marketing effort. The polyglot nature of the team showed. It was only in the two-day training that The Genard Method provided for them, that the members not only burnished their own skills, but started to genuinely work together in a collective effort. Here is that case study of team training in the biopharmaceutical industry. Ability to Sell. Another interesting effect can sometimes announce itself when a team hasn't been receiving timely sales presentation training. When a "capabilities" presentation in PowerPoint is used by the entire sales staff, for instance, the fact that the deck is dated or no longer accurate may not be perceived. A "we've always done it this way" mentality may be harming the company. Sales presentation training workshops--often done at annual sales meeting--can bring this problem to awareness. Partly it's due simply to a fresh set of eyes from outside seeing the problem. But a skilled trainer will also be able to connect the company's stated goals for influencing an audience, with what that audience is actually seeing and hearing. That's part of his or her job, and it's actually not rare that we see this need among the sales staff emerging in a workshop. Company Speakers Bureau. Does your company maintain a speakers bureau? It's a terrific way to keep the learning going for your employees who speak frequently after the on-site workshop is over. And it's custom made to increase your employees' comfort level and eagerness to speak on behalf of your organization. Create Your Own Coaching Staff. This is one of those under-the-radar benefits of presentation skills training for your employees. Often a human resources executive or Chief Learning Officer will bring this up in their initial discussion with us concerning a training. That executive is interested in learning how it's done, i.e., how she or he can coach key executives on an ongoing basis once our workshop has concluded. Usually this person will ask if they can attend the seminar themselves so they can learn. We are very happy to say yes. Build Stronger Customer Relationships. As I say to clients and trainees, your competitor's product or service is probably very close to yours, and the price is also usually in the same ballpark. So what makes that customer or client decide to do business with you? The answer is that they want to! That usually means they enjoy communicating with you and conducting business together. One of the ways they understand early on that they probably will, in fact, like dealing with you, is that you've given them evidence in your presentations. Trustworthiness and honesty are the bedrock of successful presentations. Of course, they only emerge when confidence and one's comfort level is high. That's a key reason to give your employees presentation skills training that meets that need. Be Recognized as an Industry Leader. Isn't it time your company or organization left Presentations 101 behind? The competition is stiff, and of course, in the 21st century it's truly global. When your employees present, they represent everything that you offer, and everything that you are. Audiences do not separate the message and the messenger. If you want to be recognized as an industry leader, your business presentations must go beyond good, and beyond effective, up to the level of the extraordinary. Give your employees the right kind of presentation training, and they will. Your business success depends upon high-caliber presentations. Presentation training often focuses on information rather than performance. Theater-based techniques are the world's best for presentation training. 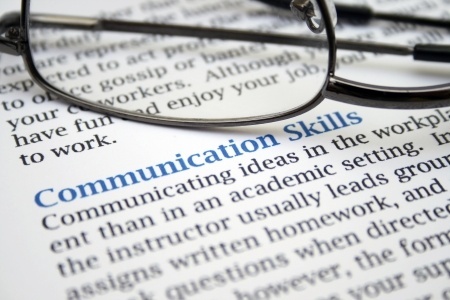 To keep employees learning and growing, bolster their communication skills. Professional presentations will solidify your status as an industry leader.